Microsoft Excel can be valuable tool for HR (Human Resources) professionals. Whether you are part of a large organization or a small one, Excel comes in handy to help manage data related to hiring or hired employees. In addition to effectively organizing and retrieving data, it can also help create & implement processes. Please find below a collection of Excel templates that are designed to help HR related tasks. If you have any suggestions for a new template, please contact me with specific requirements. If you are in a recruiting team responsible for hiring in your organization, or you are a freelance recruiter, you can use this simple Excel template to manage your entire recruitment process. The data entry is simplified and saves you time. Are you in the process of recruiting for an open job/position? You can use this simple Excel template to track status of the applicants (candidates) in an organized way. You can get an instant view of how many applicants are in the pipeline and where in the funnel applicants are dropping off. The template supports up to 4 stages of recruiting such as Application, Phone Screen, Interview and Offer. Metrics including Number of applications and Average Number of days to hire are automatically calculated. You can also easily view the top reasons why candidates were not selected. The Event Calendar Maker is an Excel template (.xlsx) that you can use to create your own personalized event calendar. There are various use cases in HR for calendars. We can create payroll calendars using this template. Birthdays or such annual events can be visualized on the calendars. 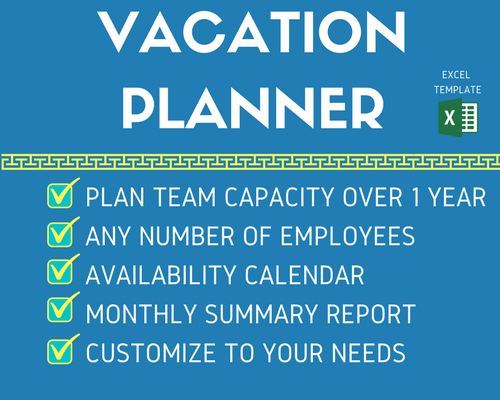 Find out how many days of PTO (Paid Time Off) you have available using this free Employee PTO Tracker Excel Template. It considers various factors such as Annual PTO Accrual Rate, PTO Accrual Frequency (Weekly, Every 2 weeks, Twice a Month, Monthly, Quarterly, Annual), PTO Rollover Policy, PTO Rollover Timing (Calendar year or work anniversary), Tenure Based PTO Tiers and Probationary Period. The template can handle all the above scenarios and can calculate the PTO balance. In addition, once you input the PTO you have already taken, it will update the current PTO balance accordingly. If you plan to take any PTO in the future, you can see now whether you will have enough balance on that future date. For additional functionality (Supports 100 employees, 100 skill groups, 100 Projects and planning period of up to 2 years. Handles daily/weekly/monthly/quarterly demand. 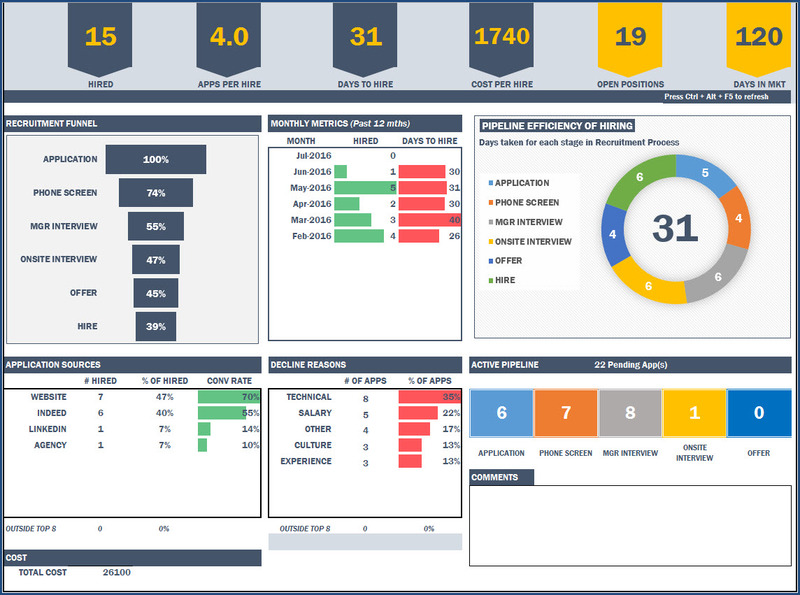 Automated Dashboard), please visit Resource Capacity Planner Excel Template. Create employee timesheets with this simple and effective Employee Timesheets Excel template.